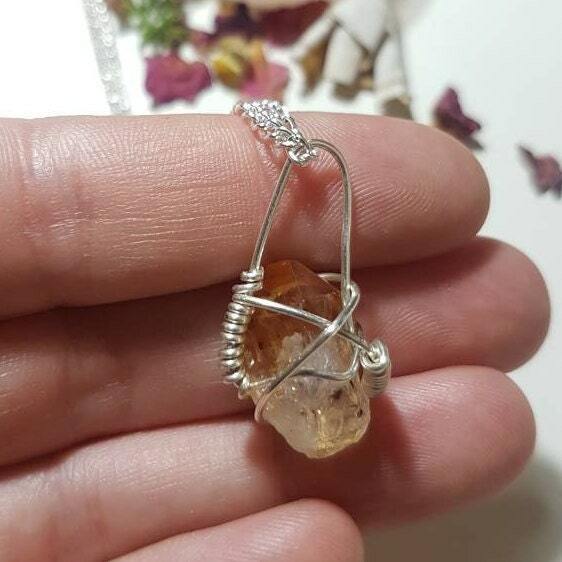 Silver plated wire wrapped Citrine necklace. The energies of citrine crystals will give you inspiration and increase your energy and drive. Citrine carries the powers of the sun, so they are cheery, happy crystals. Citrine crystals will encourage you to live a little and to go with the flow. They can bring inner peace and wisdom, and stimulate your intellectual activities. 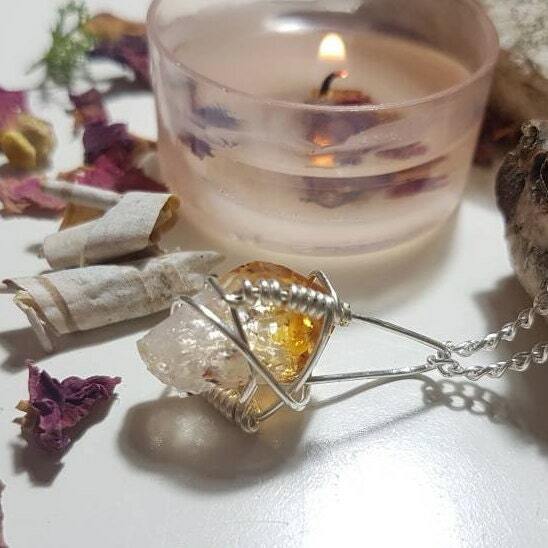 Citrine is also known as the Success Stone and the Merchant’s Stone because it will manifest success and abundance in your business or career. Chain and findings are silver plated. Necklace measures approx. 50cm in length and pendant measures approx. 3.2cm x 1.6cm. 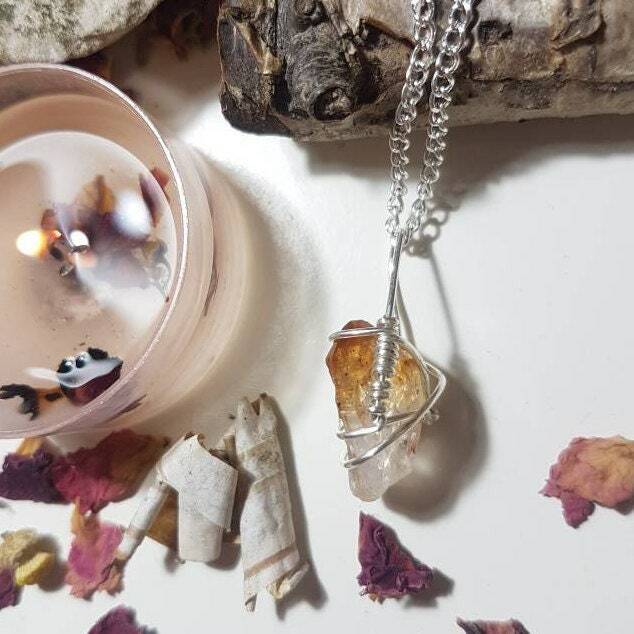 Necklace comes wrapped in tissue paper with a details of properties of the crystal, a small dhoop stick to cleanse your item and an organza bag.